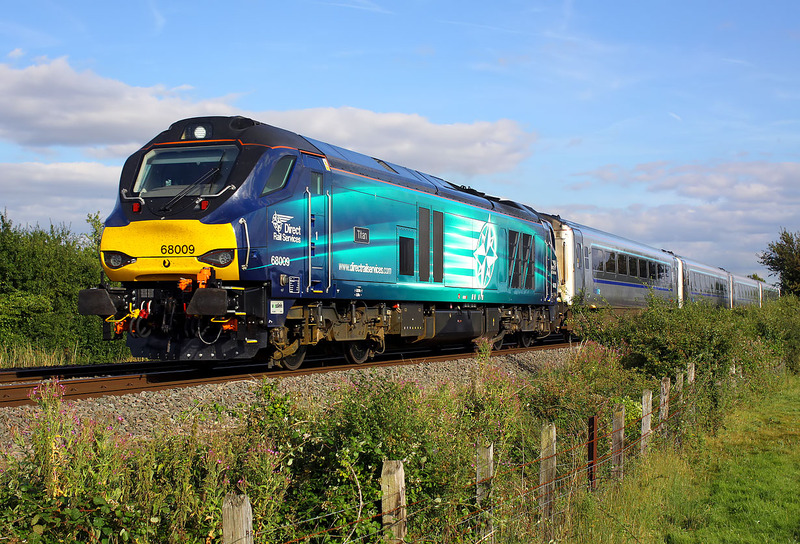 68009 Titan speeds past Piddington on 13 August 2016 with the 1G49 17:10 Marylebone to Birmingham Snow Hill Chiltern Railways service. I was very lucky with the sun here, as it was on the edge of a large black cloud, but instead of the cloud moving over the sun as I expected, it seemed to split into two just where the sun was. I've got to have some good luck sometimes!